We researched for over a year, reviewed the makes and models, decided the range of years we would want, then waited and waited until the right deal came along. And it did, in MAR of 2014. 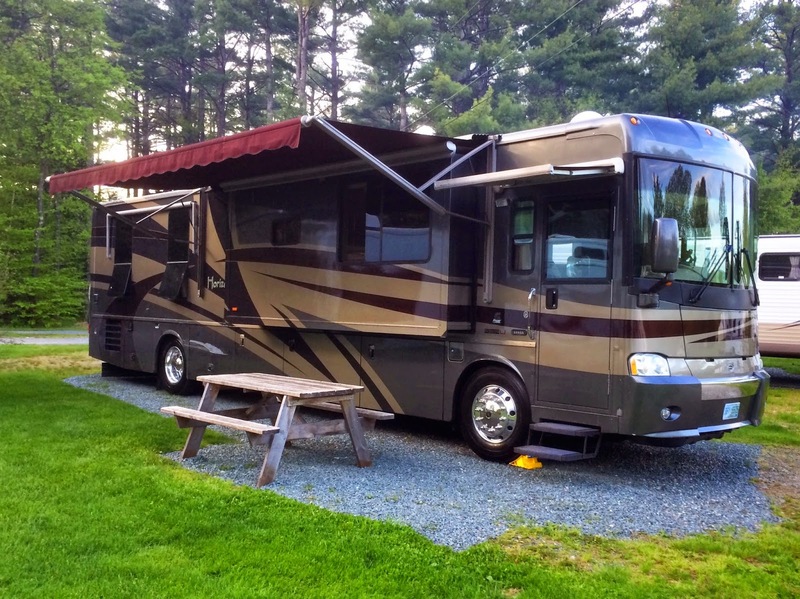 We found a 40′, 2005 Itasca Horizon diesel RV with low mileage in the price range we were looking for. After many calls and emails with the Sales Rep, booking of the flight to Tampa, and planning for the drive home, we were off to pick her up. What a beauty, she was everything we had hoped for. LazyDays and especially Greg Dallie were really great. We spent the first day doing a walk thru, then the signing of paperwork, and she was OURS! We spent the first night sleeping in her in the LazyDays campground. The next day we spent touring the facility while a few shortlist of quick fixes were completed. The afternoon was spent taking an RV driving course. Boy did we ever need that! 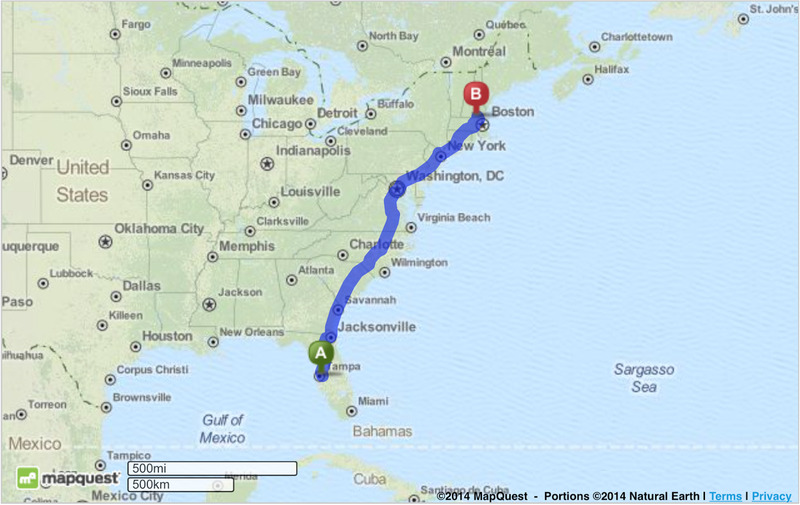 We were now ready to begin the 1500 mile trip home, having never driven a 40′ Class A RV. Thank goodness it was basically I 95 straight up all the way. 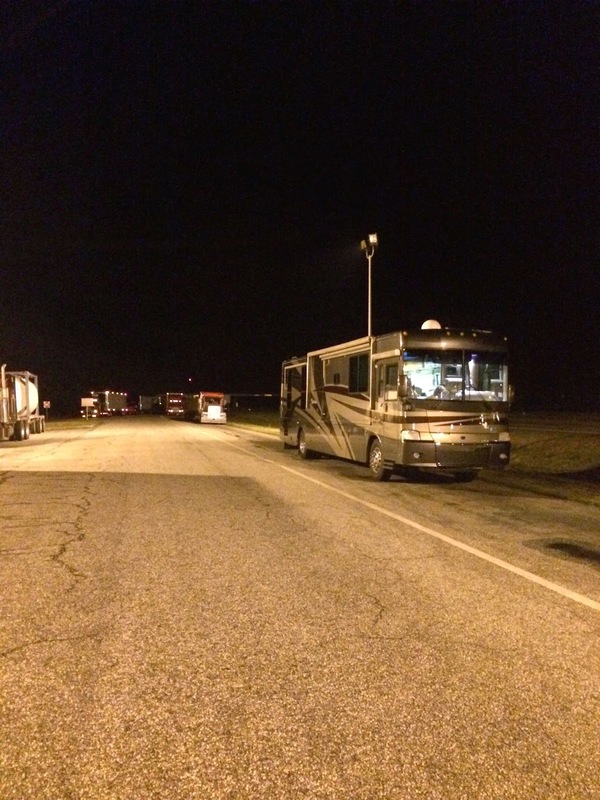 Our first night was at a truckstop, we took boondocking head-on. We did pretty well managing the fuel and driving skills. We also brought our Verizon MiFi with us so we were both able to login and still work while the other drove. During the drive the next day, we discovered that apparently the house batteries were on their last leg, as they drained rather quickly, so night two we needed to pull into a campground and hookup so we could charge the batteries fully. We pulled in late at night (leave your money in an envelope, honor system) and began to ‘hook-up’. So far so good until it came time to connect the sewer hoses and empty the tanks. I guess I didn’t insure the end was FIRMLY in the drain pipe and the moment I pulled that black tank valve wide open, the rush of sewage shot out of the hose and popped the end right out of the drain pipe spraying it all over until I could push that valve closed. Our first Griswold moment, and I’m sure, not the last. After a quick cleanup of ourselves and the campsite, we got in a good nights rest. Day three was another day of driving, and then a truckstop overnight. Day four, almost home. We had previously made arrangements for storage as we can’t keep an RV in our Townhouse parking spot. 1500 miles we traveled without even a single driving incident, UNTIL we pulled into the storage lot, less than a 1/2 mile from our home. 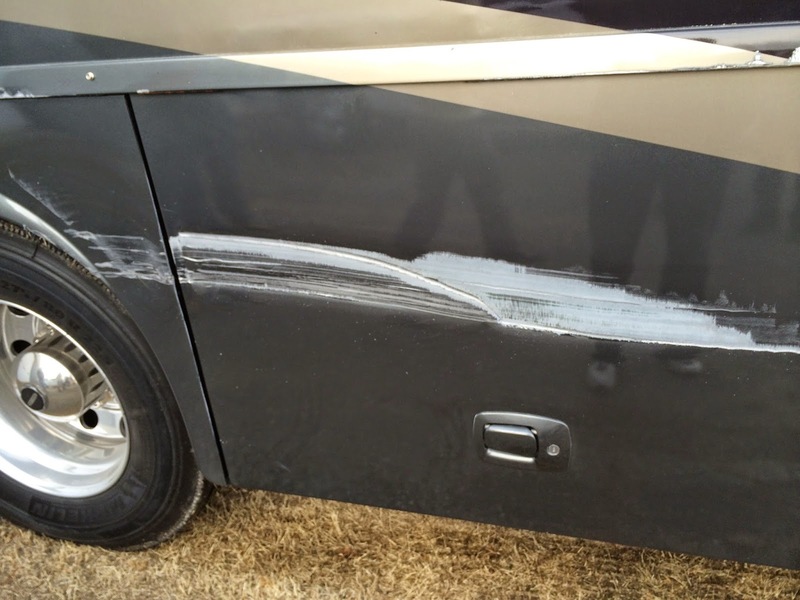 I cut the corner too short and clipped a very big and heavy mailbox and scraped the side of the RV. We were both so upset, and the storage lot owner too as it was his mailbox! But here we are, safe and sound, and proud new owners of a wonderful RV!